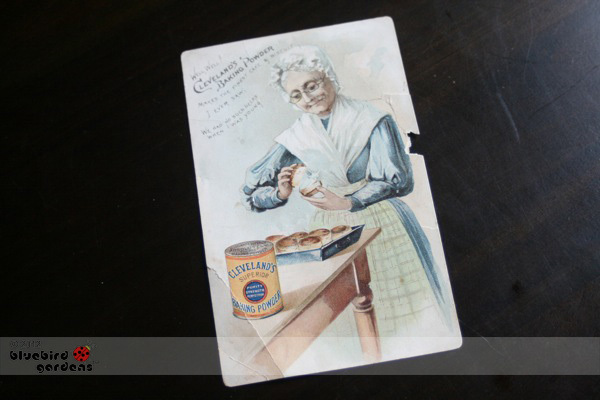 My grandmother gave me this charming Cleveland Baking Powder postcard from 1884 inside an old recipe book. As I was getting ready to frame it, I noticed the back. It's a recipe for "cooking a husband."